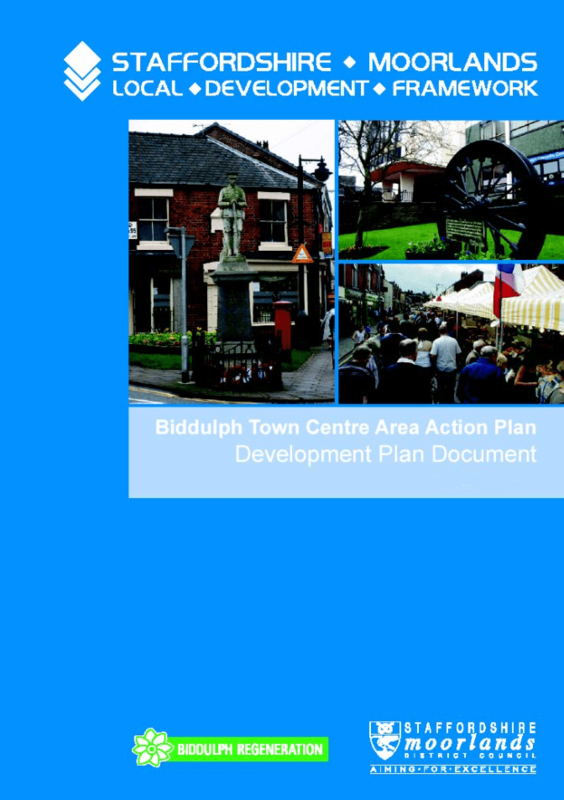 Biddulph Town Council are taking advantage of a national scheme to give communities more say over how their neighbourhoods develop. The Town Council intend to prepare a Neighbourhood Development Plan for the Parish and have applied to Staffs Moorlands District Council to designate the whole of the parish as the Neighbourhood Plan Area. The District Council is seeking people’s views on the proposed Neighbourhood Areas – the first step towards preparation of a Neighbourhood Development Plan. Residents can have their say on the proposed area for the plans by taking part in a four-week consultation that runs to 5pm on Thursday 4th February. The neighbourhood area applications can be viewed at: http://www.staffsmoorlands.gov.uk/sm/council-services/local-development/neighbourhood-planning and are also available for viewing during normal office hours at the Biddulph One Stop Shop, Town Hall, High Street, Biddulph; as well as Biddulph Library. If you would like to comment on the proposed Neighbourhood Area, please send your response by e-mail to:Neighbourhoodplans@staffsmoorlands.gov.uk or by post to: Regeneration, Staffordshire Moorlands District Council, Moorlands House, Stockwell Street, Leek, Staffordshire ST13 6HQ.